Rank: #61 out of 346. Choose you RAM from 4GB 8GB to 16GB DDR4 system memory for advanced multitasking; choose storage to 1TB 2TB HDD hard drive for ample file storage space, 128GB 256GB 512GB to 1TB SSD; a flash-based SSD has no moving parts, resulting in faster start-up times and data access, No noise, and reduced heat production and Power draw on the battery. HP Spectre X360 is a very popular and one of the more expensive options. 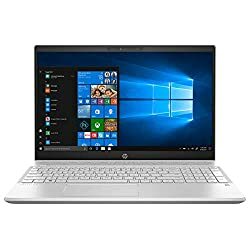 It's in the top 3 bestselling laptops and has dozens of popular alternatives in the same price range, such as HP 15.6" Dual-Core or HP Pavilion 15 CD002DS . HP Spectre X360 is $349.10 more expensive than an average laptop ($649.90).